It’s the circle of life: we get older, we get grayer. It’s kind of scary seeing that first gray hair or three in your beard, so naturally you want to color it. 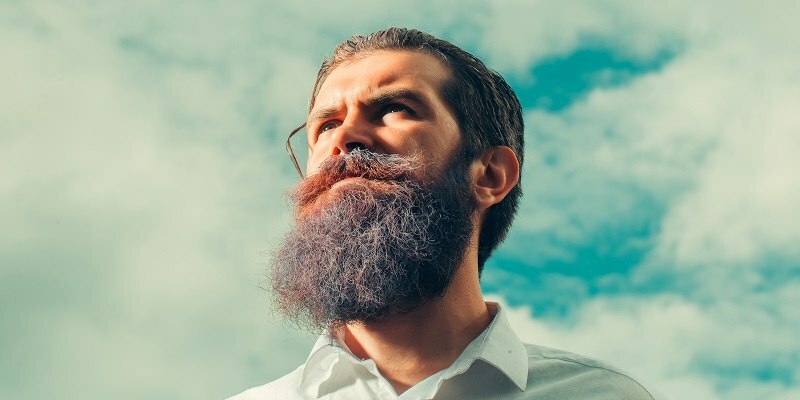 That’s not the only reason people color their beard, though; sometimes our beard color just doesn’t match the stronger color on our head, so we want to make it match a bit more. If our beard’s lighter in color, it can look weaker, and less, well, awesome lumberjack-y than we might want. To that end, you might want to learn how to dye your beard, so that next time you want to hide your age or just get your face caught up with the rest of your body, you’ve got the tools and the knowhow to get it done. Learning how to color your beard is simple; when it really comes down to it, coloring your beard is just like painting, except you can’t really look at what you’re painting without a mirror. The first, and most important, thing you need to do before coloring your beard is picking the right beard coloring product. Companies like Just for Men and Redken for Men have some pretty good stuff out there, with just about any color you might want (unless you really want to go out there and impress/frighten your friends with a clown-wig rainbow beard; that might take some doing). When it comes to getting ready to do the deed, and picking the right color, we suggest picking something as close to your original beard color (or hair color, if you’re matching) as possible. Many times, the goal of coloring is to make sure as few people notice the coloring; it’s about blending, not attracting attention. The color guides on the boxes of most hair dyes are pretty good for this, so be sure to look at them intently so that you know exactly how it will look. It’s not just about what color the dye is, but about the color of the hair it’s coloring – different hair will produce varying colors. Remember this, and you should be well on your way to a perfectly handsome and inconspicuous beard. Below we walk through all the steps that you need to take in order to successfully dye your beard without any issues. After you’ve done the preliminary work and figure out which product you want to try, you’re not ready to slap it all on your beard and hope it works – not just yet. First, you have to test it to make sure you haven’t made a horrible mistake. After all, it’s better to risk a little bit of your hair than all of it, right? Good. With that in mind, you need to do what we call a ‘patch test.’ Basically, you’re coloring a ‘patch’ of your skin and seeing what happens before you do the whole thing. The best part about this is that you can see if the product is gentle enough for you, and you’re not risking any hair up top! Just put just a few drops of the dye on an area of your skin that you won’t be showing strangers anytime soon – like the inside of your arm – and wait for a couple of days. If at any point, your skin starts to itch, or it gets red, wash the dye off right away and find a gentler product. On the other hand, if it seems fine, you can go ahead and color your beard. Now that the patch test is done, you can go ahead and color your beard. First, though, you have to make sure you’re not dying freshly shampooed and/or conditioned hair; the color won’t absorb as much with hair that has residue from these products on them, so it’d be a lost cause. Also, be sure to rub some Vaseline around your neck below the beard; this will keep the dye from staining your neck, which will make you look like you just got back from a performance art gig. There, finally; in the words of Roy Batty from Blade Runner, “time to dye.” Throw on some rubber gloves (maybe those ones you refuse to use for dishwashing; you really do need those here) but make sure you have enough dexterity to do the job smoothly. Take the application brush you’ll get with your hair dye, or a toothbrush if that’s somehow missing, and dip it in the dye. Lightly brush your beard hair, and be sure to touch the skin underneath as little as possible; you’re dying the hair, not your face. You may need to apply your coloring several times, but don’t worry about that in your first application, since you’re just getting started. Once you’ve finished that first application, wash out the dye after waiting the amount of time the instructions tell you to (you can wait a little bit longer if you want, but don’t push it). Just be sure to put your beard under water and rinse it until no more dye comes out. After that step’s done, check out your beard: do you like the way it looks? Is it the color you want? If not, no biggie; it usually takes more than one application to really get down how to color your beard, and the actual dye job will take multiple goes to get the right depth of color you’re looking for. Just dye, rinse and repeat until you’ve got that lustrous ginger or brown or black or blonde or white or purple color you’ve been yearning for. The best final advice we can give you on how to dye your beard is to use a clarifying shampoo to strip the color in case you go too deep – you still want it to look natural, not like Charles Schulz drew you for a comic strip. Still, if you follow these tips, and get the right hair dye, your beard will be on the right track.